We want you to feel at home when you visit Little Joe’s MITSUBISHI SERVICE CENTER. 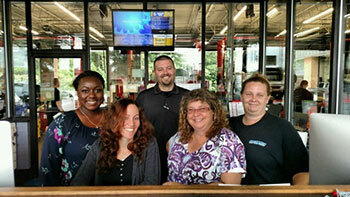 Our service advisors will keep you informed about your vehicle’s needs and progress during service. We provide BATTERY SERVICE, tire service, brake service, OIL CHANGES and more. Our certified technicians only use state-of-the-art technology to perform any type of service your vehicle may require, from routine maintenance to major repairs. We are located in Chesapeake Virginia, just minutes away from anywhere in Norfolk County. We truly believe that you deserve personal attention, right from the moment you walk through our doors. We are glad to provide maintenance at your convenience, however, major repairs require an appointment. We take pride in certification. We will honor warranty work for Mitsubishi vehicles. We are conveniently located in Chesapeake VA and serve all of Virginia and North Carolina.